Even though the job market is a lot better in recent years, with unemployment rates lower than ever, finding a job is still not a walk in the park. With an average of 250 applicants per a single job, if you want to land your dream career, you have to face some stiff competition. So, what’s standing between you and your dream job? Often times, it’s just you, yourself, with a poorly prepared job application. If you listen to HR managers and recruiters across the globe, they’ll tell you that there are some common mistakes that bad applicants constantly make. Here are some of them and how you can fix them. 7 Have You Made any of These Job Application Mistakes? The resume is one of the mainstays of the traditional job application process. It lists your education, achievements, work experience and ideally, a thing or two about you as a person. There’s just one problem, it won’t list what you actually know how to do and whether you’re any good at it. The employer knows this as well. This is why today’s recruiters spend only several seconds reviewing each CV. 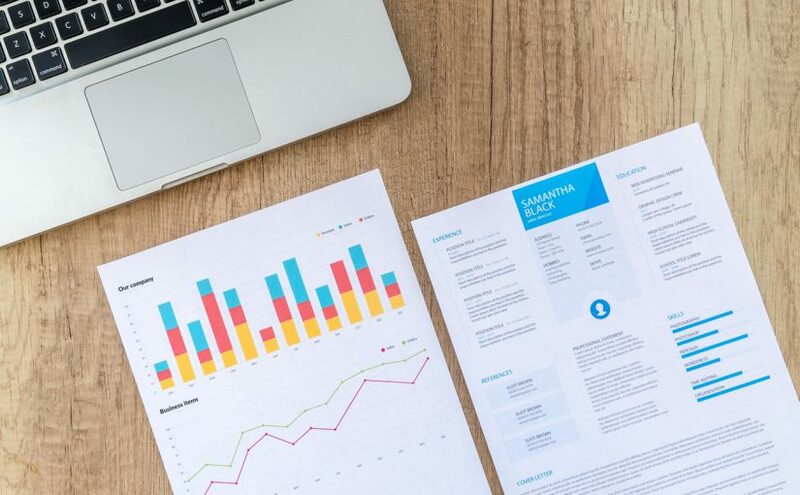 If you spend hours crafting the ideal resume, don’t be discouraged when it goes to the bin with the rest of the applicants. Instead, focus on everything else that you can influence. Work on your application email and cater it as much as possible to the position you are applying for. Same goes for the cover letter – it may get more time with the recruiter than the CV, so make sure you stress what makes you the best candidate for the position. Last but not least, pimp out your LinkedIn profile – many candidates use it instead of a CV and recruiters are bound to take a peek there. When the recruiter picks up your CV, cover letter or even reads your email, there’s one thing that gets you disqualified very quickly – poor writing. Especially for more detail-oriented positions, impeccable spelling and grammar are a must. When skimming over your application, even if you have the best references and the most expertise, you will be judged because of poor spelling and grammar. Your work experience, references, education, capabilities – those are the things that belong in a CV. Your rock collecting hobby, seminar you did on waterproofing basements and your penchant for glam rock – you can leave those out. While a line or two about yourself outside of work are good to show you’re a real person, don’t go overboard. Similarly, there is such a thing as putting too much content in your resume. If the position you’re applying for is one of an SEO manager, don’t list your experience as a graphics designer or data security analyst. As impressive as they be, those titles aren’t relevant to the position you’re applying for. We don’t mean to be judgmental, but you should try to avoid lying in general. However, lying in CVs is definitely shunned upon, no matter what you’re applying for and where. Unfortunately, it’s far too common, and applicants lie for anything from their education to their references. We won’t go preachy and tell you why lying in general is bad, but lying on your resume can have dire consequences. First, it’s making the recruiters’ jobs difficult as they’ll put you in the next round and in time, they’ll be able to find out where you lied. Second, if there’s a reference check, the company you’re applying with will ring up your former employer and even they could find out you’re deceiving a company in your application. Third, you may actually get hired and start working, getting a chance to show off skills you don’t really have. Needless to say, you’ll be in some problems and you’ll effectively have wasted lots of HR hours for the company you applied for. Put simply, don’t lie – everything gets found out in the long run. Have you ever seen a job application where the company asks you to list your favorite ice cream flavor in the subject of the email? They’ve done this for a good reason. Different companies have different instructions for applications, for various reasons. The example mentioned above is a great one – if you can’t follow such a simple (yet weird) instruction, what ensures the employer that you’ll follow instructions in the workplace as well? If the instructions ask you to apply through email, do so. If they want you to leave data through a form, you should do that instead. Never do more or less than required – and you’re good to go. Finding a job is not an easy task, especially if you’re unemployed and looking to pay your bills. You may be tempted to apply to everything that is out there and get your foot through as many doors as possible. This is perfectly normal. What’s not normal though, is sending in the same CV and cover letter to all the companies for the same or similar positions. You will save time, but there’s a catch – the employer will tell from a mile away that your application is not catered to their position. The message you are sending is that their job position is not worth your time, even though it could take mere minutes to adjust your CV and cover letter. Why would you be worth the recruiter’s time then? Simply dedicate extra time for each application to adjust the application email, resume and cover letter and you’ll start seeing better results immediately. Have You Made any of These Job Application Mistakes? Do let us know! In the meantime, if you’re looking for an awesome remote job position, check out the Anomadic job board!